Of all the various transport news stories that pass my way every day, one particularly struck a chord recently. 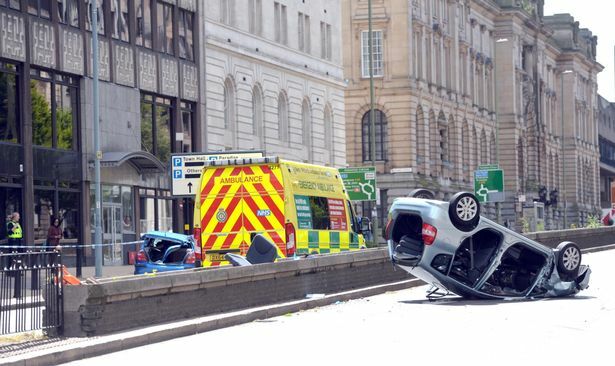 A Birmingham City Councillor wants the Authority to be given London-style powers to tackle moving traffic offences – some of which result in accidents, causing significant problems in the City Centre. At the moment, outside of London, the Police are responsible for enforcing this sort of thing – Councillor Ali wants what’s good enough for London to be the rule of thumb in Brum. Read the article here. Although an obvious minefield, he’s on the right track. It came into my mind this very afternoon whilst awaiting a bus in Brierley Hill that has a 15 minute frequency. Nothing doing, and the route concerned has 2 different operators on it, so the chances of consecutive buses from a different operator breaking down are fairly slim. My Twitter feed was reporting an accident in Dudley (on the route concerned) so there’s a chance the service may have been impacted by that. As the queue got larger, the topic of conversation inevitably erred on the side of blaming the bus operator(s). “Always late”, declared one, “Usually come together”, declared another. Same old story. One eventually appeared and we all shuffled on. No more said. But what is the deeper story here? I’m making an assumption it was the road “collision” in Dudley that had delayed my service. I obviously don’t know the details of said collision, but I do know that many a collision has caused havoc for bus operators in maintaining their services. Sadly, some road traffic incidents are unavoidable. Earlier on today, not far from where I was actually awaiting my bus, there had been a significant problem, caused by a car driver having a heart attack at the wheel. Such examples are unavoidable. But there are plenty of “accidents” that ARE avoidable. I put the word “accidents” in inverted commas because they aren’t “accidents” at all. That’s why I used the term “collision” earlier. The media are often fond of creating stories such as “lucky escape for driver” in some circumstances. What is patently clear is that they’ve been selfishly driving like an idiot and had a totally avoidable “accident”, which not only wastes the emergency services time, but has an effect on hundreds if not thousands of other travellers. On the railways, there is a professional “blame game” going on. Passengers and train operating companies can claim compensation through a system that apportions “blame” for every delay. It is sometimes queried why the bus industry cannot do similar. A handful of operators do employ a compensation scheme, although what happens when the service is late through no fault of their own – such as an accident caused by idiot driving? For bus operators, they’re caught between a rock and a hard place. It is rarely the operators fault the bus is late. Yet there persists in the mind of numerous folk the image of a 1970s episode of “On The Buses” whereby bus drivers are sitting around in a canteen drinking tea, and the service only runs when they are ready to drive it. So any idea whereby a motorist can be successfully prosecuted for acting the goat behind the wheel, causing delays for the rest of us has my support. A minefield, yes. But shouldn’t we at least try to take the big stick to these who don’t give a damn about their own road safety, never mind the rest of us? Last week, after a now futile pub discussion over the Labour Party leadership accompanied by some tougher than normal scratchings with my old pal, I made my way to the bus stop for the short journey home. This is my area, deep in the Black Country. I know most of what is going on, bus-wise, if not what is going on, on the left of British politics, it would seem. Gawping at the Centro-produced information on the bus stop pole, I spotted something rather incorrect – a reference to “Wordsley Hospital”. I spent 13 years of my working life at Wordsley Hospital. Before that, I was the paper boy in my tender teenage years there. Then I pushed the sweet trolley around. But today, “Wordsley Hospital” doesn’t exist. It closed over 10 years ago and has long-since morphed into a housing estate. Indeed it is a “known local point” – but for people of a certain age. And what of people who don’t know the area, who might go searching for something resembling a hospital in order to get their bearings? What about younger people? If you were 5 when it closed, you’d be 15 now. There are people who are a year off paying a full adult bus fare who won’t necessarily know or understand that this housing estate is where a hospital once stood. I don’t want buses to be a secret society. Omnibus – “for all” (Latin). 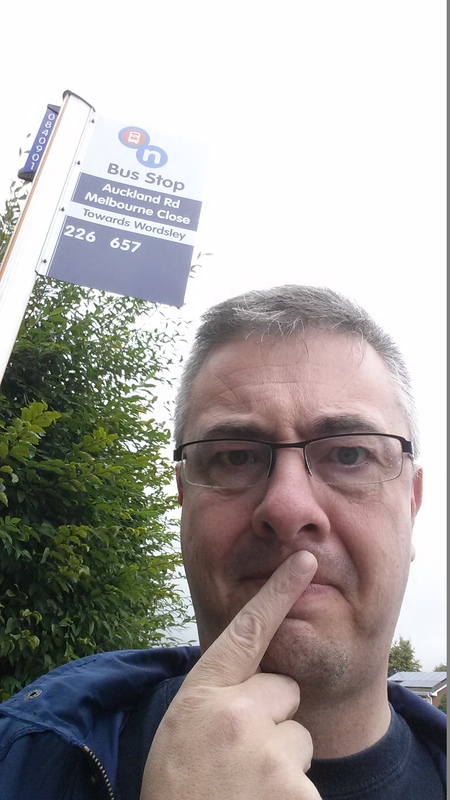 Goodness knows, it’s difficult enough to try and explain the local bus service to non-regular users, especially if it is as dense as it is around the Black Country! But we must. People have to grasp it. And it surely can’t include such vague references to places that don’t exist anymore. 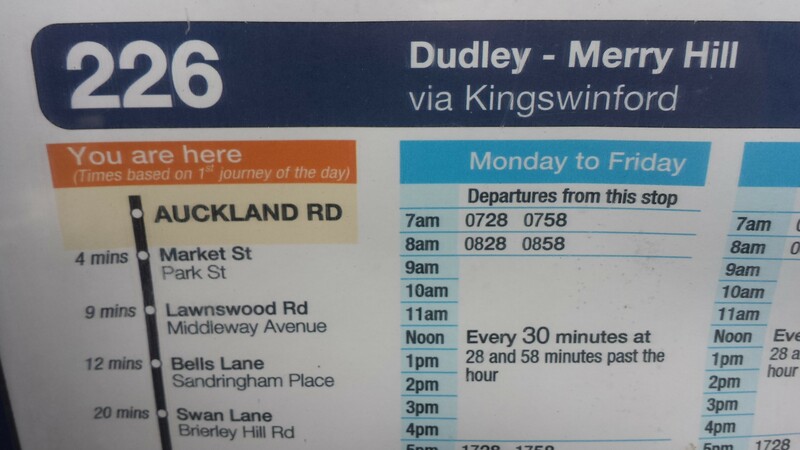 The tale of “Wordsley Hospital” on bus timetables also takes a further twist! Because, despite it being used as a descriptor along the 226 route, when you actually get to the stop in question, this happens…. I’m confused! The stop for “Wordsley Hospital” turns out to be correctly labelled after all! 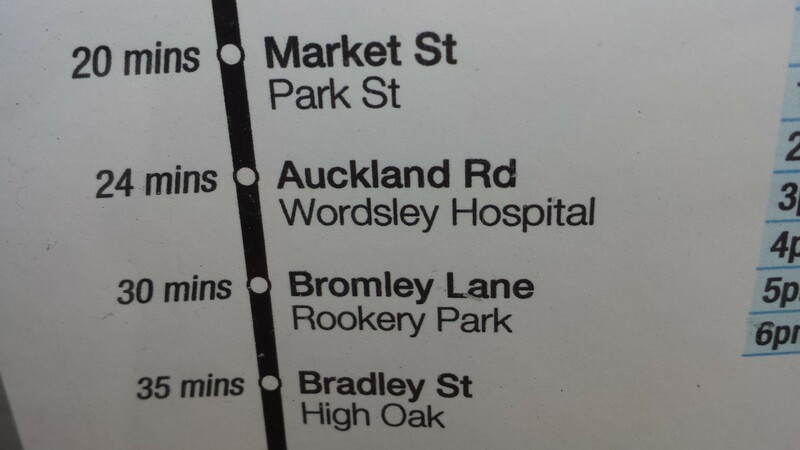 But where is “Wordsley Hospital”, as referred to on other stops along the route….? Maybe putting “Wordsley Hospital” on the actual flag might elicit more comments from locals and non-regulars alike…..
I’m pleased to see that the flag is actually correctly labelled, but if you’d got on elsewhere along the route, noticed that the bus stops at “Wordsley Hospital”, and weren’t familiar with the area, might you be looking for it? So is the justification that it’s “still a known local point” any excuse? Centro do a decent job of equipping the 14,000-plus bus stops in the conurbation with information (although it’s by no means universally correct – I guess you have to expect a few gremlins), but another one of my gripes in a similar vein is the emergence of audio announcements on-bus, that don’t match up with what is shown at the stop. Surely this is unforgiveable – but it happens, and with alarming regularity! A few miles up the road near Dudley, one such route is referred to on the stop as the two roads which constitute the road junction, but on bus as a pub name. The building itself has long-since become a Co-op. Like a bloke with the bit between his teeth, I went off to listen on-board to what it actually says today – except the on-board audio wasn’t even working….. But the point is made. I’ve come across this sort of thing on my travels all over the place across the Country. Is it really that difficult for the bus operator(s) and the local authority to actually get together and agree every location? So it would seem on an uncomfortably large number of examples. We are…restoring helpful descriptions which have somehow been lost over time. By way of example ‘Hayes & Harlington’ really means ‘Hayes & Harlington Station’. Route U5 doesn’t actually go to the place called Harlington in London”. A bit like route 226 around here, which doesn’t go to a place called Wordsley Hospital…. It’s all-change in cider-country from this weekend (05/09/15) as First pulls out lock, stock and barrel from it’s Hereford operation after the last service on Saturday night. Of course, this is business. There’s no room for sentimentality in today’s high-powered world – but you’re excused a smidgen if, like me, you’re a bus enthusiast and purveyor of fine slabs of social history, more of which to come. From a current day passenger’s perspective, there isn’t too much to worry about. 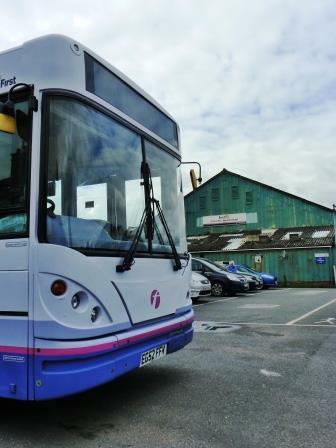 Most of the network is being taken on by local independent Yeomans Canyon Travel – who are also taking on most of the drivers. 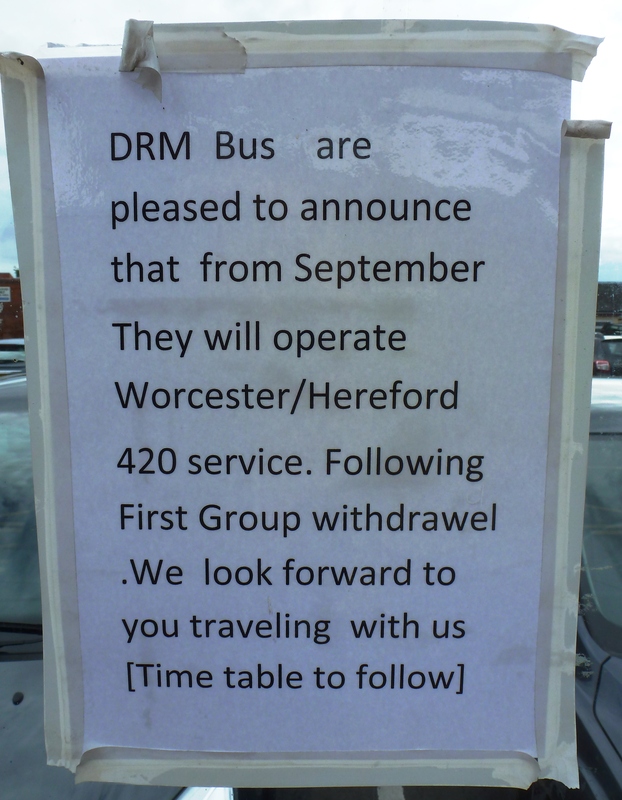 Another local independent – DRM, run by the effervescent David Morris – takes the trunk 420 Hereford – Worcester service, on which they already run Hereford-Bromyard. Will locals notice too much when corporate pink/purple is no more? Die-hard enthusiasts like me don’t even notice Barbie. We still see it as red. Midland Red. And “Red” it has been since 16th March 1920, when three Tilling-Stevens bone-shakers appeared in the City. They were garaged in something little more than a shack in Bridge Street, which didn’t even have any lights! In that same year, a certain H.H. Yeomans hit upon an idea to use his cider lorry to transport passengers into Hereford for the Wednesday market! Bus! By 1934, Yeomans were taking over routes from Midland Red – a scenario repeating itself 81 years on! Midland Red got itself a new garage – with lighting – in 1925, on Friar Street, which is still the one in use today (albeit with various extensions added over the years). If you guffawed at Blakey & co in the On The Buses film when they took on women drivers, Hereford garage pre-dated this by a good many years – “HD’s” first lady driver got behind the wheel in November 1941, and was a company first. Another first for Hereford was one-person operation, in 1956, which was as a result of poor patronage and staff shortages – the era of phasing out of conductors on the Midland Red started here. Hereford also played a part in the very early beginnings of deregulation, way back in 1978. Two years earlier, Midland Red had commissioned the “Viable Network Project” as a response to falling passenger numbers. This was further developed into something blandly titled the “Market Analysis Project”, with the County Council offering itself up as a trial area, which was to be devoid of the then normal licencing arrangements. 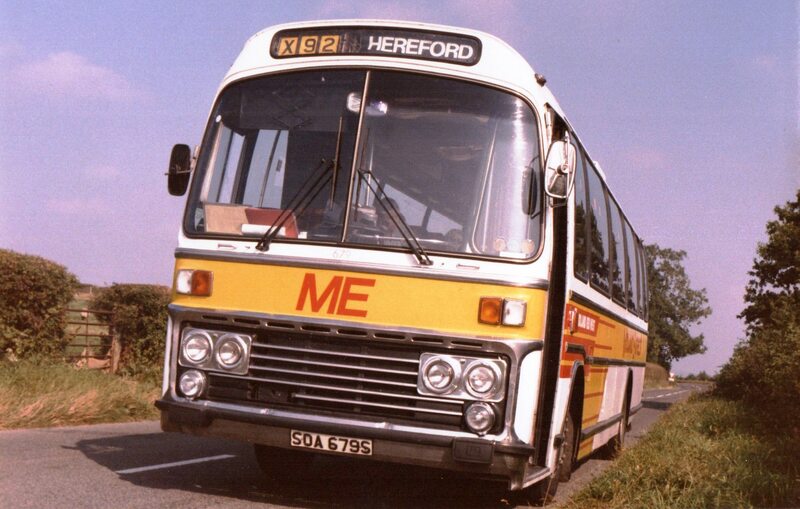 An early exercise in branding took place, with Hereford Midland Red buses appearing as “Wandaward” – a name that would continue until 1984. By this time, Midland Red had split into 5 different companies. From September 1981, Hereford garage fell into the Midland Red West operation – one of 6 garages in the new company. 1986 of course saw the bus world turned upside down with deregulation and privatisation. Midland Red West acquired an attractive new red/cream livery to go with it’s newly-found freedom, and before long found itself in bed with Badgerline, born out of a similar split in the Bristol area. 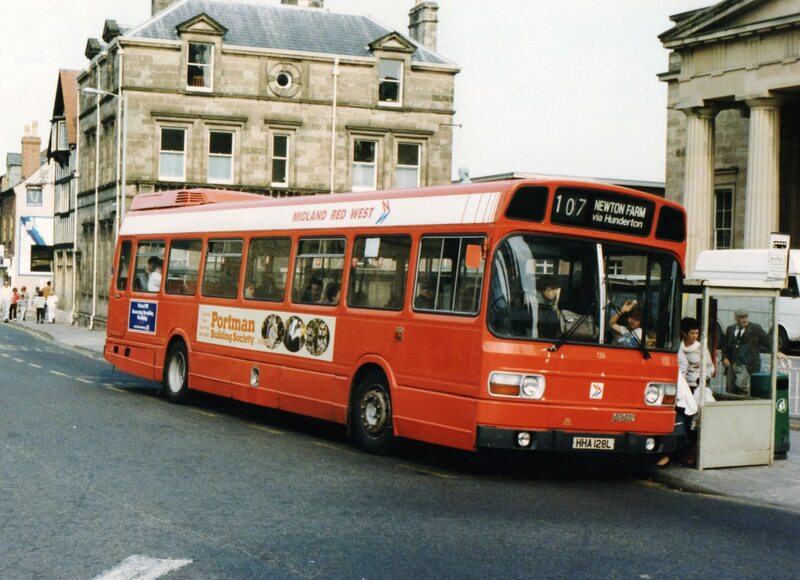 1995 saw Badgerline itself merge with GRT (born out of Scotland’s Grampian Regional Transport) to form a new super-company – FirstBus. As the group flexed it’s muscles, local operator names began to disappear. Midland Red West – as well as it’s widely-admired livery – became subsumed into a simple “First”, with corporate pink/purple livery (known in enthusiast circles as “Barbie”). First went on to conquer the World (well, trains and American school buses at least) but of late has been retracting out of what it sees as unprofitable operations. From a purely business perspective, Hereford hardly fits the bill for something as big as First. The small operation has less than 20 buses and carries only 3500 passengers per day. “Profitable” is a wide-ranging word. 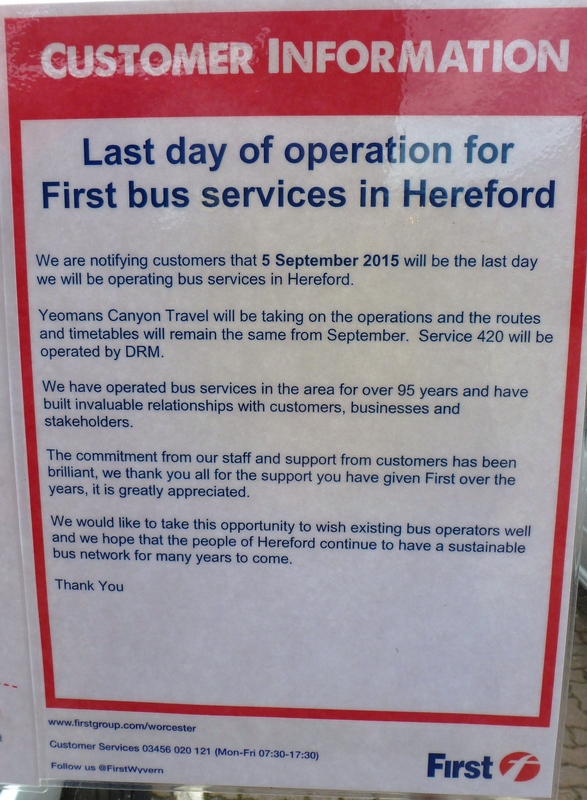 Hereford is evidently not “profitable enough” for First – an operator which is increasingly focussing on it’s large urban operations such as Bristol or Leeds, for example. Not only has the once mighty Midland Red operation long gone and been chopped up, the Midland Red West network since deregulation nearly 30 years ago now only has Worcester left. 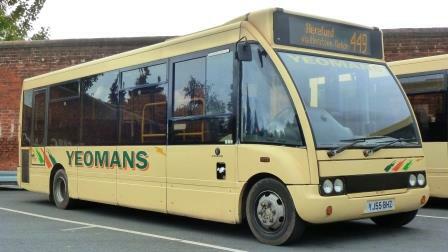 In 2013, First sold it’s Redditch and Kidderminster operations to Rotala’s Diamond bus operation. The number-crunchers have decided there isn’t enough in these, or Hereford’s operation. But “profitable” Hereford must be. Yeomans have taken it on, in the style of many independents over the years, who’s expectation of “profit” is less than the big groups. It remains to be seen what might happen in Hereford after, say, 6 or 12 months of operation – will the smaller guy shrink it’s operation there? It’s yet another example of the perils of commercial bus operation in these uncertain times. 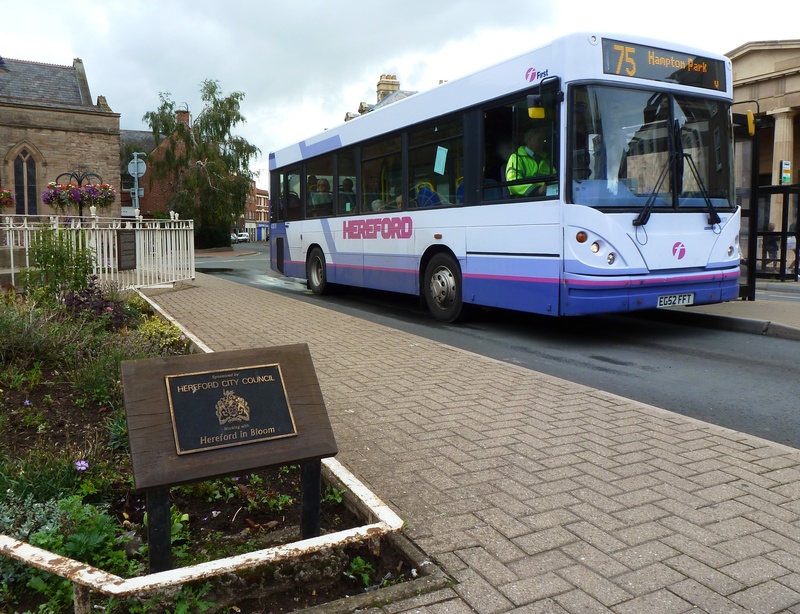 Hereford has been no stranger to concerns over viability. As we’ve seen, the Market Analysis Project all those years ago was looking to address such concerns, and of course even further back, Midland Red were handing what were seen as unprofitable routes to Yeomans in 1934! Hereford may be bustling, but it’s surrounded by lots of green fields. The local estate routes may be viable, but the longer trunk routes continue to be a challenge for commercial operation. I saw this for myself when taking the 420 out of the City back towards Worcester via Bromyard. Full-size bus operation, but barely half a dozen of us on board, only 3 of us actually handing over a cash fare. The train on this corridor provides stiff competition, but it’s a sobering experience to see how bus operation in semi-rural areas faces a challenging future. It may not come as such as surprise that Cornwall is going down the route of a form of “quality contract” for its large swathes of green fields and sparse operations. Might we see such offerings in places like Hereford? My own memories of Hereford are happy ones. As a post-deregulation teenager in the late 80s, a ride on the monster X92 from Birmingham to Hereford was magical, being operated by coaches as part of the “Midland Express” network – all the old Midland Red companies joining up to provide a yellow-liveried limited stop coach operation. In the City itself, this 80s child found Leyland Nationals – some still in drab National Bus Company-liveried poppy red, some in the exciting red/cream “privatised” livery and later a small corner of Tesco’s car park given over to form a “City bus station” full of brightly-coloured Mercedes minibuses providing the “Hereford Hopper” network. It was about as far as I could go with my scratch off Midland Red West “Go With The Wyvern” day ticket. Whilst I was down in the City 2 days before the end of First’s operation photographing the scene, a friendly driver was chatting to me. He told me that most of the staff had found alternative employment, and that he was only there covering because most of the staff had already gone. He also told me of a nice touch whereby a party was taking place on Saturday night, and that the longest-serving member of staff – who had started in 1968 – was chosen for the final service to return to the garage. I also came across a woman who was also taking photos of the garage in Friar Street who explained that members of her family had worked there over the years. We had a good chat and she told me she was close to tears! And in a fitting tribute, the heritage-liveried single decker that wears a 1960s version of the Midland Red livery is on loan from Worcester garage for the last few days of operation – the name “Midland Red” is back on Hereford’s streets for one final time! Happily for passengers, the network (for now) remains largely intact – all that users will see on Monday morning are different coloured buses on unaltered routes / timetables. 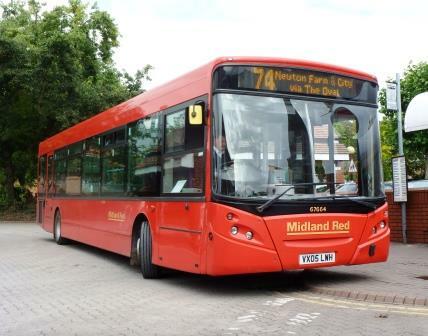 But for enthusiasts / historians who have followed the much-loved Midland Red and it’s successors down the years, a little bit of transport history has gone forever.